An international soft law program that seeks to advance ethical principles of biodiversity conservation. The Biosphere Ethics Initiative (BEI) is the overarching framework of CEEL. The BEI is guided by the Relato Methodology, scholarly research and development, and the sharing of information across a vast network of individuals and organizations, public and private, governmental and non-governmental. 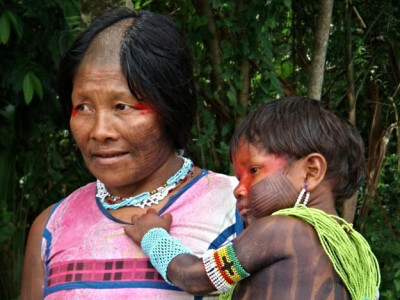 All of the work, from research to developmental meetings to Relatos, informs the global Evolving Biosphere Ethic. The Relato Methodology is a process that brings together local leaders with global experts to bear witness to, highlight, advance, and share environmental ethics in action. Relatos are the meetings of the BEI that seek to highlight, develop, and support ethics in action, the ethical principles that individuals, organizations, and decision-makers are using to make decisions, and those they wish to strengthen and advance. This is done through meetings with a local, host organization, a network of expert Advisors, and research development. 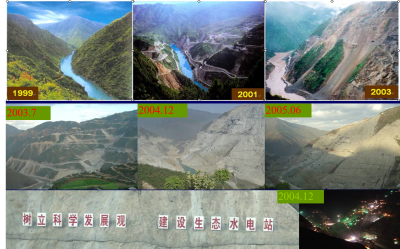 To date, there have been numerous developmental meetings and six formal Relatos of the BEI: The Chicago Wilderness Relato, The South African National Parks Relato, The Indiana Dunes Region Relato, The Relato of Rio State, The Relato of Jordan, and The Relato of Gangjeong Village. Understanding that resources in staff or funding is often limited, CEEL is also developing an Online Do-It-Yourself Relato. This will support local communities to host their own Relato in order to highlight existing ethics in action, and also to develop ethical principles that they wish to guide future action. An important aspect of the DIY Relato will be to work with and report back to CEEL, so that all participants can be part of this local-global movement for the advancement of environmental ethics. 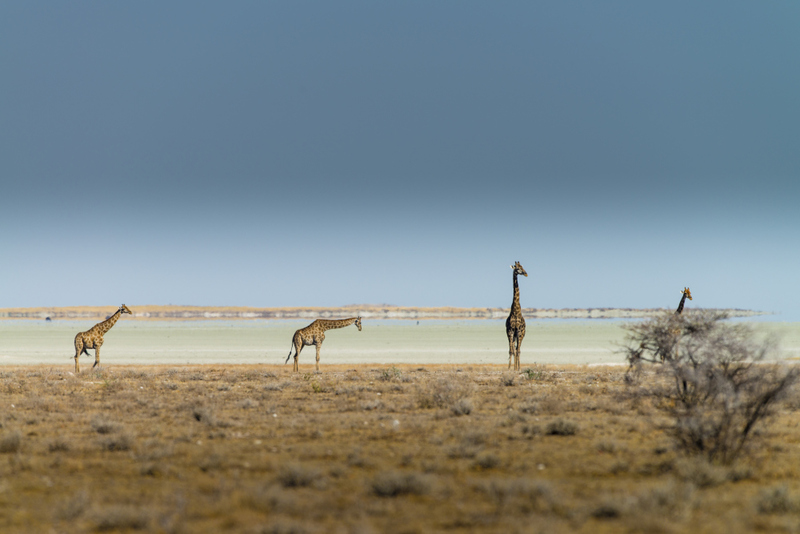 Certain Foundational Issues have naturally arisen from the BEI and Relato Methodology, and these have become on-going subject-matter projects: Biodiversity; Climate Change; and Economics. These are discussed at each Relato and are supported by the research and expertise of CEEL and its partners. An important practical aspect of our work is the development of an online guide to assist people in Ethical Issue-Spotting. For example, a current project is a scripted video which will show users how to ask questions of ethics and justice to those who oppose climate change action on the basis of economic arguments or scientific uncertainty. All of this work must stand for something, and so, upon request, we take our entire body of work and formulate Position Statements. 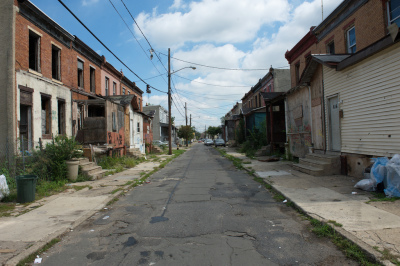 Vulnerable people and places often do not have a voice. Therefore, we not only seek to advance the research and development of principles of environmental ethics, but we also seek to stand behind those principles on issues that confront nature and society at the local, regional, and global scale. These statements are based upon our Relatos, our scholarly research, and universal ethical and legal principles. Another aspect of our future work is to develop Amicus Curiae Briefs, or "Friends of the Court" briefs for ongoing court cases. We would uniquely offer ethical arguments as subject matter experts. 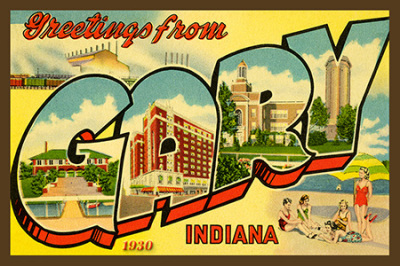 CEEL is a proud founding partner of Gary, Rise, an ongoing civil society initiative that aims to highlight the harms to - and the hopes of - the people of Gary, Indiana, USA. We cannot separate human crises from ecological crises; and we cannot separate either from a crisis of governance. Value choices underlie every decision; what are the values that have guided Gary, and what are the values that should guide Gary? CEEL is a proud founding partner of the Ecological Law and Governance Association (ELGA), a global network of practitioners and professionals from across disciplines that seek to advance new paradigms - in thought, structure, and practice - for law and governance that better protect the foundations of life. 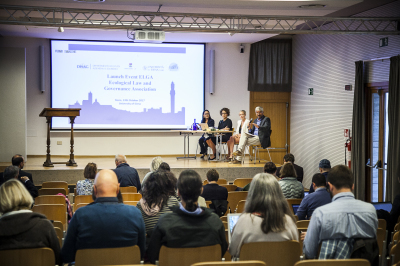 ELGA was officially launched October 13, 2017 at the University of Siena in Siena, Italy. ELGA works closely with UN Harmony with Nature and the Ethics Specialist Group of the IUCN World Commission on Environmental Law. Its members are signatories to the Oslo Manifesto, its founding document that describes the needed transition from environmental law (a separate practice and approach) to ecological law (an integrated, systems-thinking approach). CEEL is working with partners across Pennsylvania to develop guidance for local and state policy-makers to meet the GHG emissions requirements of the Paris Accord. The Going to Zero campaign is a broad consortium of universities, governments, and civil society members. 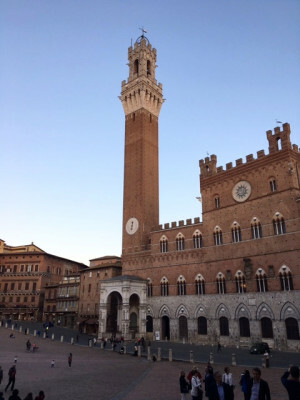 Although the campaign is based in Pennsylvania, participants hope to create a model that is translateable to other cities, states, and countries around the world. The campaign aims to provide technical guidance to individual, government, and NGOs on how to reduce emissions, but also to provide the ethical and legal arguments on the need to reduce emissions, and now. CEEL's particular role in the campaign is to help host a Relato in Pennsylvania that will explore the ethical principles of climate change action and inaction, rooted in the state's history, culture, and environment. 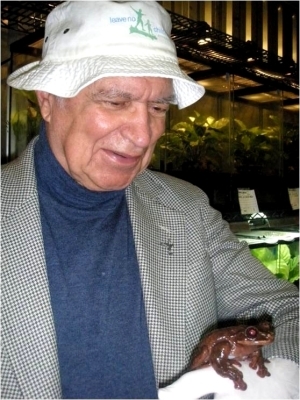 Toughie (left image, with Dr, George Rabb) passed away in October 2016 at the Atlanta Botanical Garden. He was the last remaining Rabborum tree frog. CEEL is currently working with partners to explore the ethics behind the conservation and mass destruction of this oft-times invisible species: amphibians. Toughie, like most amphibians, was tough, yet fragile. And, like most amphibians, his species became extinct due to humanity's impact on earth. This project seeks to highlight the ethical principles of the BEI inherent in the amphibian crisis, and provide guidance to zoos, museums, educators, as well as government, private, and NGO decision-makers and policy-makers, to address this crisis. 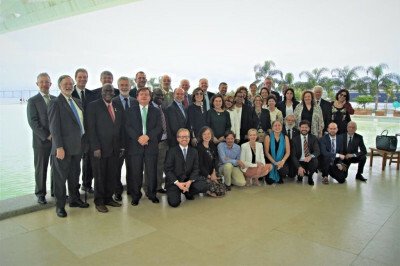 CEEL Executive Director Kathryn Gwiazdon represented the Ethics Specialist Group of the IUCN World Commission on Environmental Law (WCEL) at the Joint Meeting of the Steering Committee, as well as at the High Level gathering, "Executive Preparatory Colloquium on Sharing Water for the Judges and Prosecutors Subprocess of the Political Process of the 8th World Water Forum" in Rio de Janiero, Brazil. 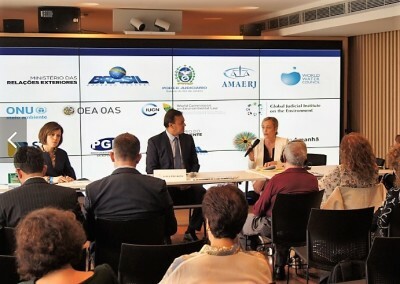 Partners included the Museu do Amanhã, the Ministro das Relações Exteriores, Ministério do Meio Ambiente, Brasil Governo Federal, Superior Tribunal de Justiça, Procuradoria-Geral da República, Poder Judiciário do Estado do Rio de Janeiro, Associação de Magistrados do Estado do Rio de Janeiro, ONU meio ambiente, OEA/OAS Organization of American States, IUCN WCEL, Global Judicial Institute on the Environment, and the Instituto O Direito por um Planeta Verde. The resulting document, the “Brasilia Declaration of Judges on Water Justice,” was approved at the 8th World Water Forum on 22 March 2018. The Declaration is the culmination of three days of events where more than 50 senior judges and prosecutors from around the world joined together with diplomats, experts, and other leaders in the field to address current challenges to the utilization, management, and protection of all forms of freshwater resources. Images (top to bottom): CEEL Director K. Gwiazdon presenting on water ethics at the high-level gathering at the Museu do Amanhã; group image from the high-level gathering; K. Gwiazdon, with CEEL Board Member Karla Monteiro Matos and IUCN WCEL Chair, Justice Antonio Herman Benjamin. 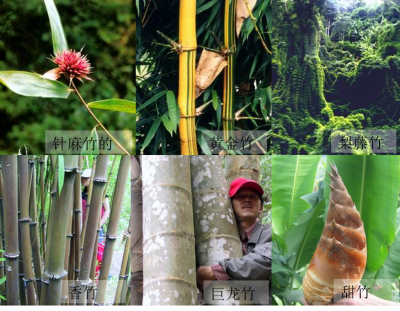 The Global Ecological Integrity Group meets annually to discuss a particular theme around ecological integrity. In 2017, GEIG celebrated their 25th anniversary and returned to the location of their first meeting: the Faculty of Law, University of Windsor, Canada. 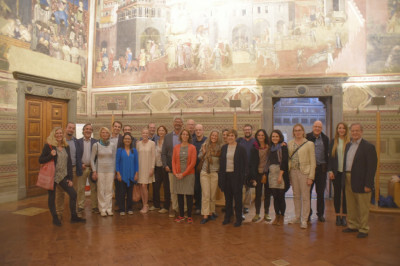 Several members of CEEL's staff, board, and expert advisors (including Donato Bergandi, Klaus Bosselmann, Donald Brown, Ron Engel, Kathryn Gwiazdon, Colin Soskolne, Prue Taylor, and Laura Westra) attended and contributed to the theme, "Ecological Integrity 25 Years On and Environmental Disasters as Crimes Against Humanity." The meeting resulted in the publication of, "Ecological Integrity, Law and Governance," available in the summer of 2018 by Routledge. The World Water Forum meets every three years and advances attention and activism regarding water issues, including access and sanitation. 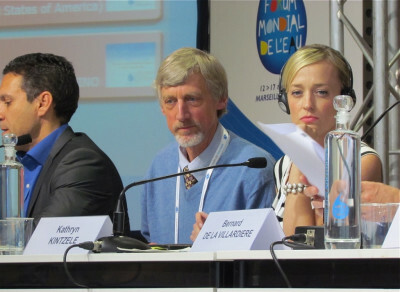 At the 6th WWF in Marseilles, France, the theme was "Solutions for Water." Ms. Gwiazdon worked with the Ethics and Culture Working Group to begin drafting a Water Ethic. She presented on "Water Ethics in Practice and the drafting of the Marseille Water Ethic." CEEL works closely with partners at the annual Conferences of the Parties of the UNFCCC. 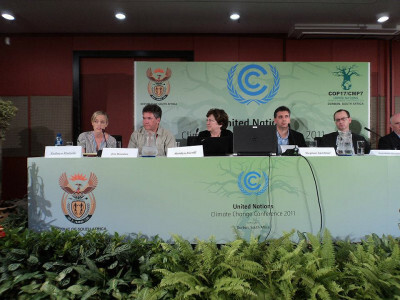 At COP17 in Durban, South Africa, the BEI presented its work on climate change ethics and human rights. 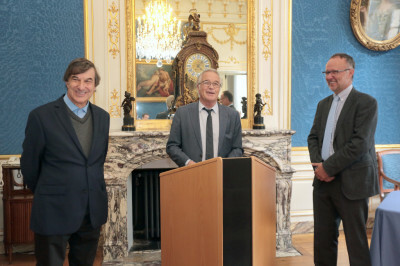 In Dijon, France, Gérard Ferrière (director of the Natural History Museum of Dijon), François Rebsamen (Mayor of Dijon, Senator and former minister), and Bruno David (President of the MNHN-Paris) announced the Déclaration du Jardin des sciences de Dijon (Muséum, Jardin Botanique, Planétarium): Initiative pour une éthique de la biosphère. They commit to advance the principles of the BEI, and recognize the particular importance of the values of existence, memory, and the future to natural and cultural diversity. At COP11 in Nagoya, Japan, the work of the BEI was presented at a panel with its partners, the IUCN World Commission on Environmental Law and the Paris Muséum national d'histoire naturelle. The focus was on the ethical considerations of the CBD and the resulting Nagoya Protocol. Ms. Gwiazdon also presented before the full plenary on the ethics of biodiversity conservation, as a representative of ICLEI, Local Governments for Sustainability. 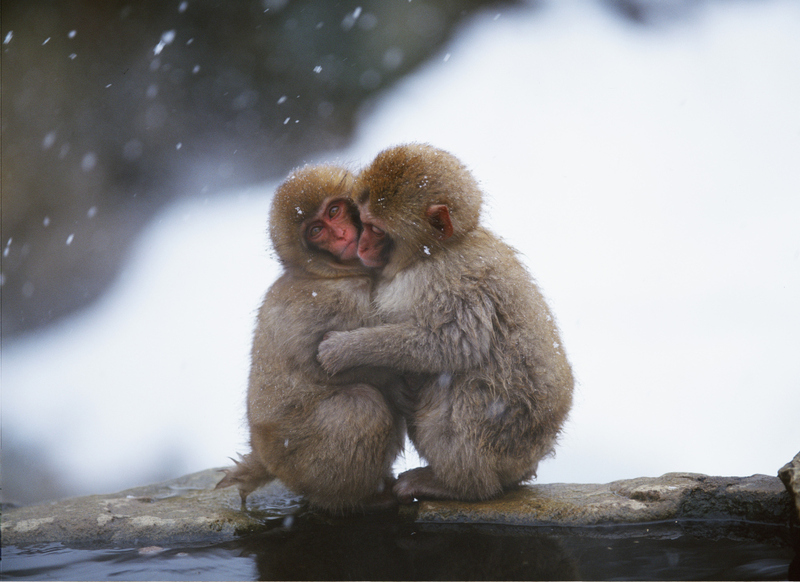 The BEI was formally launched in February 2010 in Paris, France at the Paris Muséum national d'Histoire naturelle. Here, the first draft of the global Evolving Biosphere Ethic was also presented. Remarks were made by the Director General of the Paris MNHN Bertrand Pierre Galey; President of the IUCN Comité Francais Francois Letourneux; IUCN WCEL Chair Sheila Abed; IUCN Director General Lefevre; IUCN President Khosla; and the French Director General of l’amenagement, du logement et de la nature Jean-Marc Michel. For a report of the event, click here. This Symposium was hosted by the Center for Humans and Nature and was one of the key, early development meetings of the BEI. In addition to foundational programmatic structuring, participants learned about the culture, environment, and ethical principles of the Yunnan Province of China. 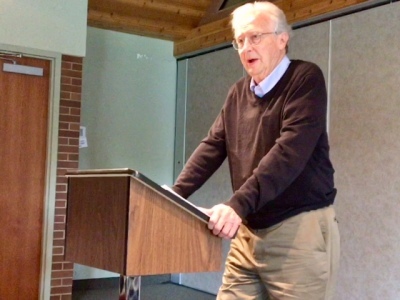 The report from the meeting can be found here. 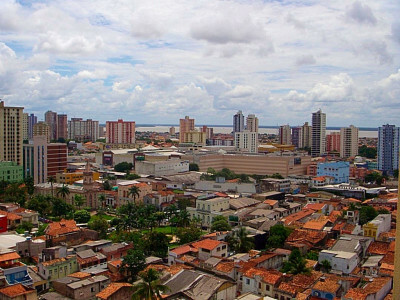 The Biosphere Ethics Initiative joined over 10,000 participants in the Amazon Rainforest at the WSF in Belém, Brazil. World Social Forums are global meetings of civil society organizations and individuals that seek a more fair, democratic world. 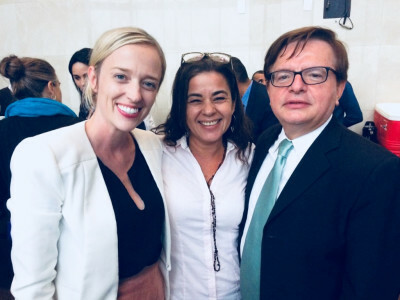 Ms. Gwiazdon presented the BEI on a panel with Environment Minister Carlos Minc and representatives from Brazil's Local Agendas 21. 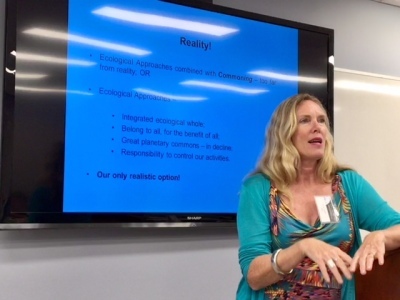 A separate workshop was then hosted to receive input on environmental ethics in the region. For key themes resulting from these gatherings, click here.